I took this shot of an old photo that's hung on one of the walls at Dunes Restaurant in Hout Bay. 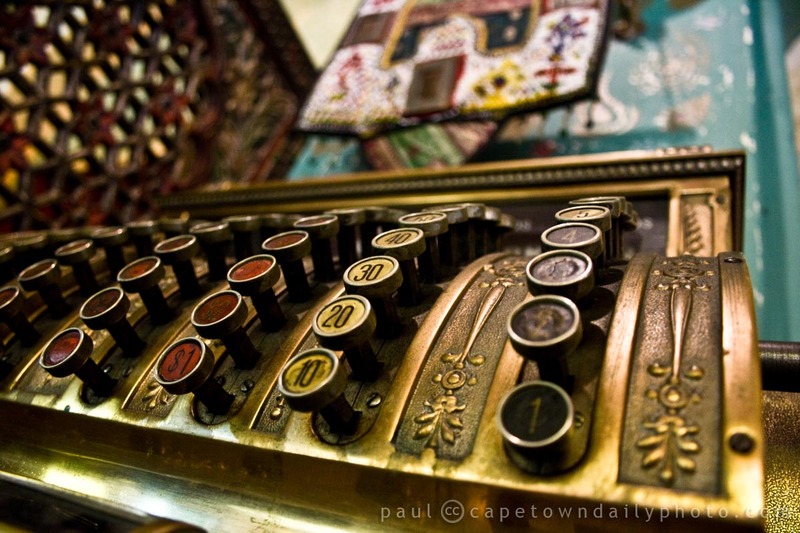 Isn't it crazy how much Cape Town has changed over the years? 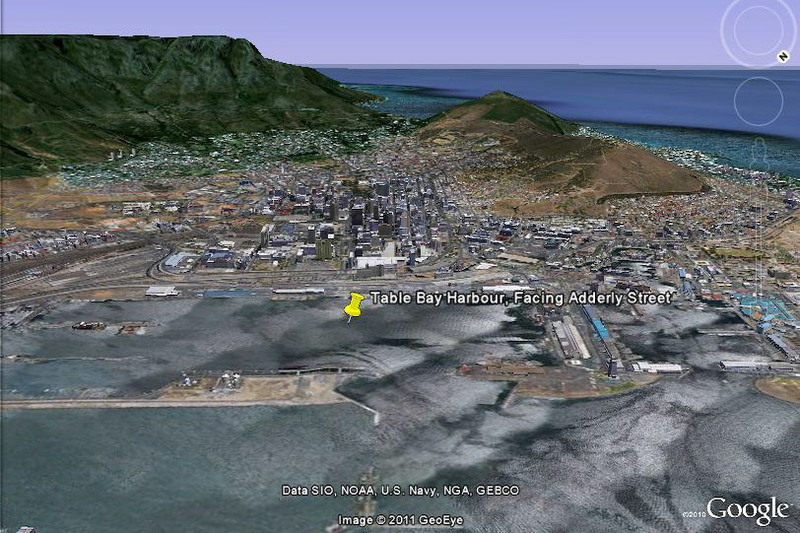 This view of Cape Town (from the harbour) shows Table Mountain on the left and Lion's Head on the right. 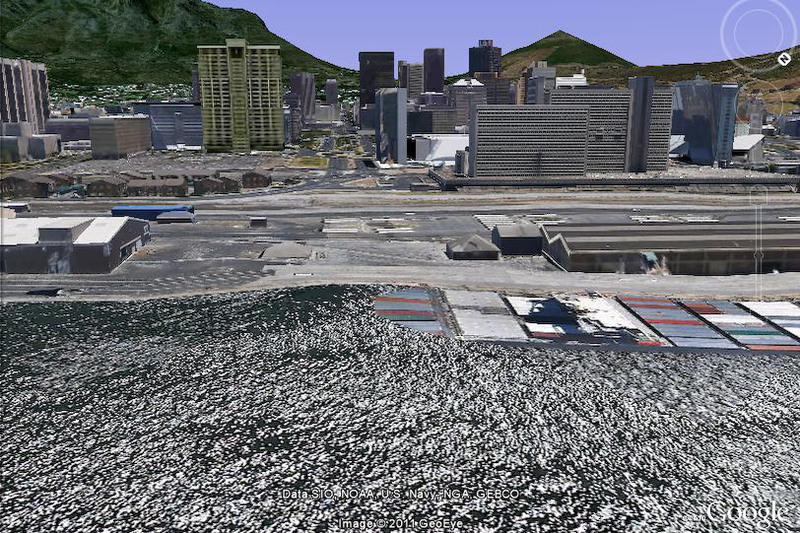 The road that you see stretching across the water, into the city, is Adderley Street - our cities main road. Take a look at these two photos that I grabbed from Google Earth - they show a modern version of the same view as the main photo. 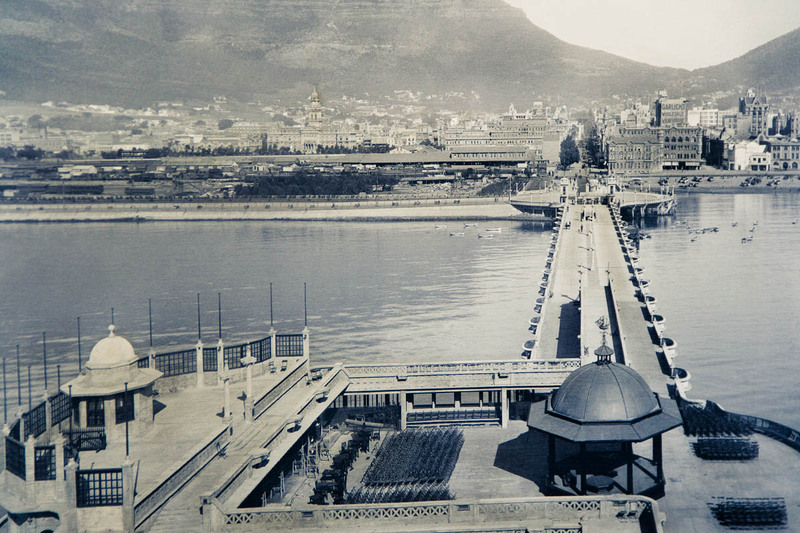 You'll notice that although Adderley Street still leads to the harbour area, it no longer allows direct access to the harbour, and the bridge that use to extend over the water has long since disappeared. Posted in General and tagged city, harbour, old on Monday, 14 March, 2011 by Paul. In my previous post I asked if you had any idea where I'd gone to buy lunch. You may have been tempted to think that I was referring to the Woolworths restaurant on the corner of Corporation and Longmarket Street (map). The clue however was in the phrase "refreshingly different take-away lunch" - a category which I'm afraid I wouldn't place the Woolworths restaurant into. In this photo is another clue to where I bought lunch. Besides for this till, take note of the left top corner of the photo. You'll find this place very close to the Woolworths restaurant. Posted in Activities and tagged old, restaurant on Saturday, 4 September, 2010 by Paul.